HMAS Karangi was the third Boom Defence Vessel constructed by Cockatoo Island Dockyard to a design similar to that of the Royal Navy Bar class. Her sister ships were HMA Ships Kangaroo and Koala. 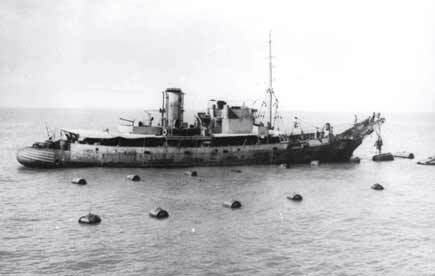 Karangi arrived in Darwin for Boom Defence service on 24 January 1942. She was present during the Japanese large scale carrier borne air attack on Darwin on 19 February 1942 and during subsequent service in the area experienced numerous air raids but escaped damage. 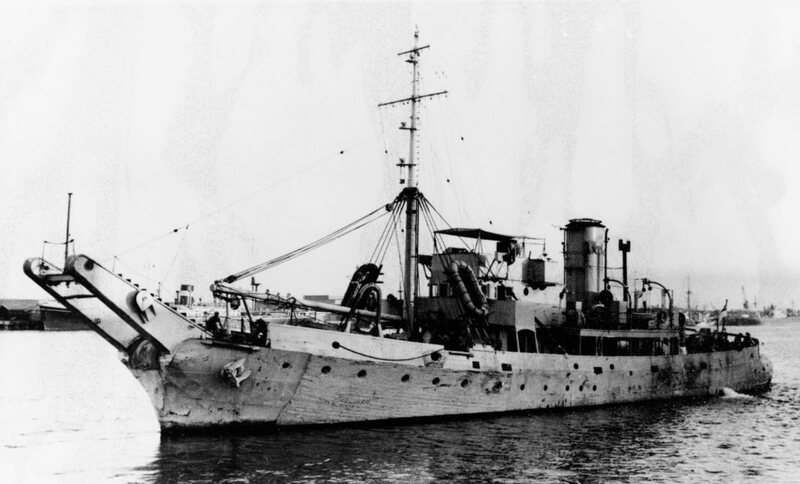 HMAS Karangi commissioned into the Royal Australian Navy on 23 December 1941. She was the third Boom Defence Vessel constructed by Cockatoo Island Dockyard. With the exception of a period of refitting in Brisbane, Karangi served at Darwin until the end of 1943. In mid-1944 she proceeded to Fremantle in western Australia where she remained until August 1952 carrying out various duties in north west Australian waters. On 5 September 1952 she returned to Sydney for refitting that kept her in the hands of the dockyards of Garden Island and Williamstown, Victoria, until May 1953. Returning to Fremantle on 6 June 1953, Karangi began a further period of duty in western Australia which lasted until 30 September 1954, when she paid off into reserve. In April 1955 she was brought back into service at Fremantle and served mainly in the north western area until March 1957. Later she proceeded to Sydney where she was placed in unmaintained Reserve on 31 May 1957. During 16 years of sea going service Karangi steamed 73,000 miles. She was removed from the Navy list in 1964 and declared for disposal.